New Delhi: With pressure rising on the Modi government to take visible action after the Pulwama attack, India will mount a diplomatic campaign at the United Nations as early as Monday to ban Masood Azhar, the chief of Jaish-e-Mohammed (JeM) which carried out the attack against CRPF personnel in Kashmir. India will also impress upon the Financial Action Task Force (FATF), meeting in Paris Monday, that Pakistan should not be taken off its “grey list”. In keeping with Prime Minister Narendra Modi’s comments in Jhansi Friday that Pakistan had been reduced to “taking its begging bowl” to the world, New Delhi is likely to request the big powers to tighten economic aid and loans to Pakistan until it ends terror, said sources. New Delhi believes the economic route to stifle Pakistan could reap much richer dividends than anything else. The withdrawal of India’s Most Favoured Nation (MFN) trade status to Pakistan, while a small measure, is a clear indication in this regard. In separate meetings with all the ambassadors of the Permanent-5 countries in the UN Security Council (UNSC) Friday, foreign secretary Vijay Gokhale pointed out that in the light of the JeM taking responsibility for the Pulwama attack in which 40 CRPF personnel were killed, India was readying to immediately move the 1267 Committee of the UNSC to proscribe Masood Azhar. Gokhale also spoke to all the high commissioners from South Asia and the Persian Gulf region. The 1267 committee is a technical committee which looks at individuals and organisations that member countries want to take action against. While India is no longer a non-permanent member of the UNSC, it could request for the proscription of Masood Azhar as has been done thrice in the past. On all three occasions, all the P-5 countries, save for China, had supported the ban against Azhar. Sharing some of the proof that India had collected against the JeM, which is headquartered in Bahawalpur, Pakistan, Gokhale asked the ambassadors for their support. The foreign secretary pointed out that the JeM had already been proscribed by the UN but that its chief, Masood Azhar, had not. Diplomats from three P-5 countries who spoke to ThePrint on the condition of anonymity said the ambassadors said they would be supportive of India. The Russian ambassador is believed to have said that India “as a sovereign country, had the right to protect itself”. Simultaneously, New Delhi will mount a big campaign in Paris Monday to ensure that Pakistan is not taken off the “grey list” which seeks to impose strictures on countries who do not take action to curb terror financing. Pakistan had been hopeful of going to the February FATF meeting saying it was abiding by the conditions imposed on it. 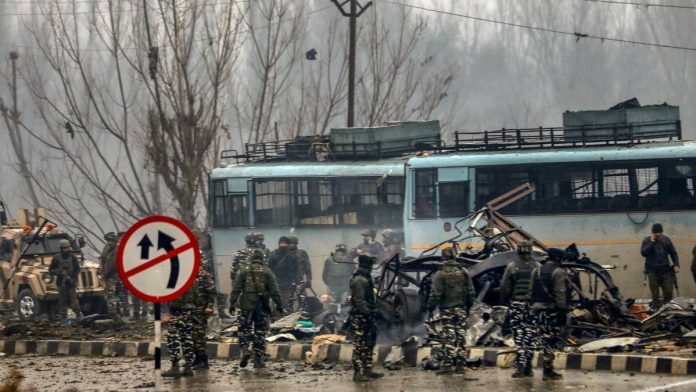 But with JeM taking responsibility for the Pulwama attack, Indian sources said they would point out that this had not happened. Meanwhile, New Delhi is also said to be in talks with the US to request it to look at Pakistani appeals for loans at the World Bank and the International Monetary Fund with a much sterner eye.